Overview provides an overview of the Modelica Standard Library inside the User's Guide. Release Notes summarizes the changes of new versions of this package. 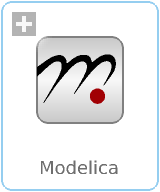 Contact lists the contributors of the Modelica Standard Library. The Examples packages in the various libraries, demonstrate how to use the components of the corresponding sublibrary. that are directly usable (= number of public, non-partial classes). It is fully compliant to Modelica Specification Version 3.2 Revision 2 and it has been tested with Modelica tools from different vendors. Copyright © 1998-2016, ABB, AIT, T. Bödrich, DLR, Dassault Systèmes AB, Fraunhofer, A. Haumer, ITI, C. Kral, Modelon, TU Hamburg-Harburg, Politecnico di Milano, XRG Simulation.